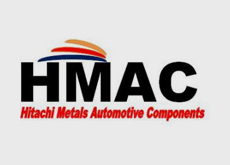 Hitachi Metals Automotive Components USA, LLC (Wellsboro Facility) | Network Directory : Hitachi in the U.S.A.
A global leader in the OEM automotive industry, Hitachi Automotive Components USA, LLC manufactures automotive components including castings and precision machining. Hitachi’s manufacturing facility in Wellsboro, PA, is equipped with the latest technology to offer you high quality automotive components. Our clients include premier brands like Ford, Chrysler, Nissan and BMW.